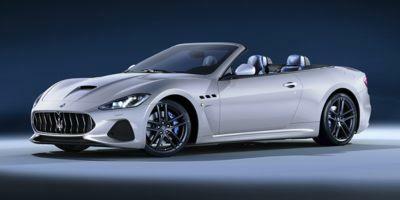 The GranTurismo convertible by Maserati is elegant with a rich design and unrivaled technology features. Start with 20” premium wheels with touring tires, front/rear parking sensors, all-LED exterior lighting, heated/folding/powered side mirrors, automated headlamps/wipers, sport suspension system, sport exhaust, premium leather upholstery, Bluetooth/smartphone/USB integration, GPS, 8.4” touchscreen, heated/powered front seating and premium Bose audio system. Upgrades can add carbon-fiber exterior/interior trim accents, Harmon Kardon audio system, and more. 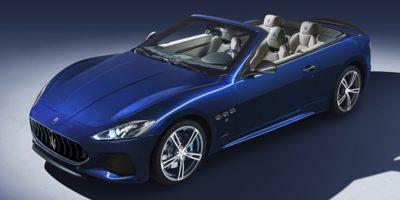 For power, this car offers a Ferrari-sourced 4.7-liter V8 engine that generates an impressive 444 horsepower and 376 pound-feet of torque.